SETsquared Southampton member SEaB Energy has graduated from the PeaceTech Accelerator Programme. The PeaceTech Accelerator is an intensive eight-week acceleration program in Washington, D.C. to help start-ups scale, with a focus on using the cloud. The Accelerator team selects for-profit and non-profit social impact ventures working to predict, prevent, or mitigate violent conflict in crisis zones. At the close of the eight-week program, the participants pitched to potential investors, donors and clients at a private pitch day. The Accelerator is a partnership between C5, PeaceTech Lab, Amazon Web Services and SAP NS2. The companies will learn to scale on the cloud and have opportunities to pitch to seed and angel investors. “At SEaB Energy, continuous learning and improvement is crucial. 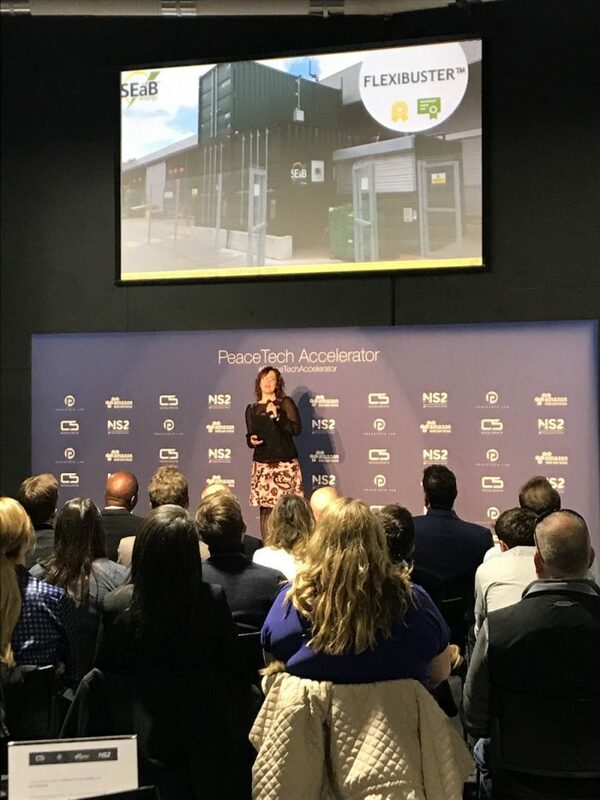 Having the opportunity to participate in the PeaceTech Accelerator was invaluable, as we learned a lot from the +60 mentors’ firsthand experiences. Great stories were told and interesting and diverse connections were made”.